The first image on this blog is one that pre-dates the project. It is here to serve as a milestone, a marker of where I am as this begins by which we can measure the end. Perhaps somewhat appropriately, it is an image taken on a whim. A simple shot taken amongst a few spares at the end of a roll. Despite this, it is one of the best landscapes I’ve ever taken (I’m a terrible landscape photographer!). 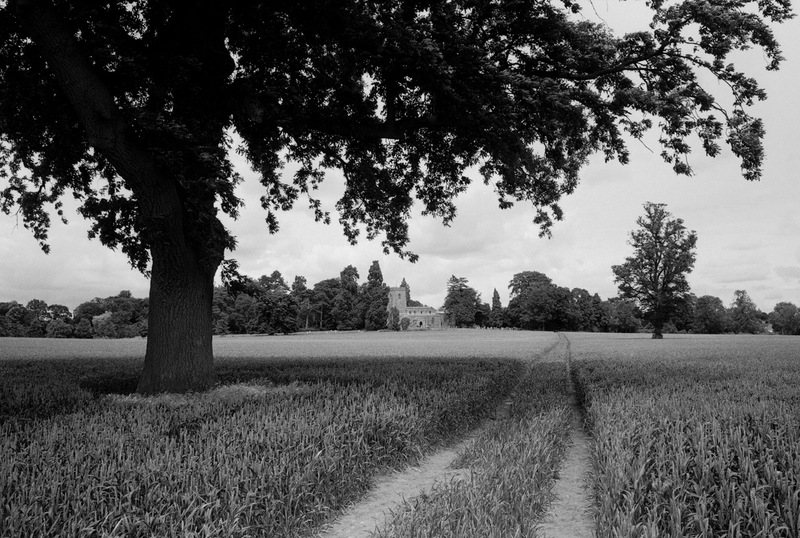 The path and the symmetry of the two trees serve to lead the viewer in to the image and the church in the distance provides a satisfying focal point. It’s also a good demonstration of what this camera and lens can do – I certainly can’t blame my equipment in any of this!